It’s pretty easy to buy an Apple laptop: You pick one on the Apple website or store that fits your budget, and you buy it. But if you dig a little deeper into a laptop’s product page, you can find customizable options for certain specs, like the processor, storage space, and RAM. It’s perfect for tweaking a laptop’s specs to better fit your needs and budget. For example, you can tweak the cheapest MacBook Pro with extra performance specs that propose great value against more expensive models. Going into those tweaking details isn’t for everyone, so I’ve done it for you!This guide should help you find which Apple laptop fits within your budget according to what kind of user you are, whether you use lightweight apps, have several open browser tabs and apps, or you’re a power user who needs the top performance. 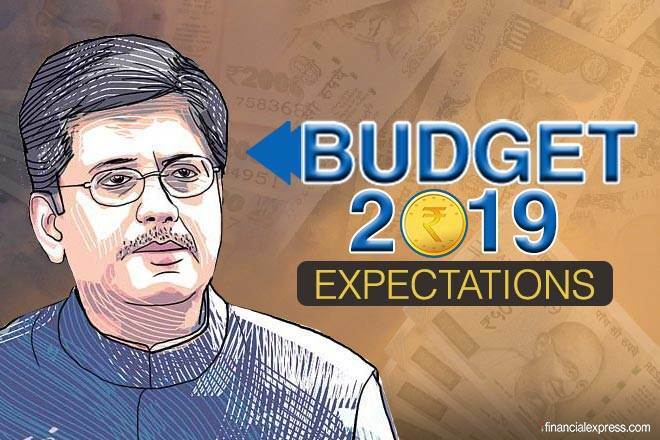 I also propose budget options, as well as “full-fat” models that make less of a compromise on performance and features. You can even buy certain models from Apple’s Refurbished Mac Store if you want to save some money. Don’t balk at the word “refurbished.” My experience with refurbished Macs from Apple has been fantastic. I saved a bunch of money on my refurbished MacBook Pro , and it came in pristine aesthetic and working condition. $3,000 – $4,200: For uncompromising performance and little regard to budgeting. You can max out the processor of the most powerful $2,800 15-inch MacBook Pro with an even more powerful 7th-gen 3.1GHz Core i7 processor for $3,000. The top, most specced-out MacBook Pro with the aforementioned processor and two terabytes of storage will set you back a whopping $4,200. $2,300 – $2,800: For power users who don’t mind spending extra for more power. The 15-inch machines will also suit video editors and Mac gamers, as they come with dedicated graphics cards. $1,800 – $2,000: For busy users willing to spend a little extra for performance, or power users on a budget. For more 15-inch models in this budget range, you’d do well to check out Apple’s Refurbished Mac Store for the 2016 15-inch models with 6th-gen 2.6GHz Core i7 processors and Touch Bar, which start at $1,850. 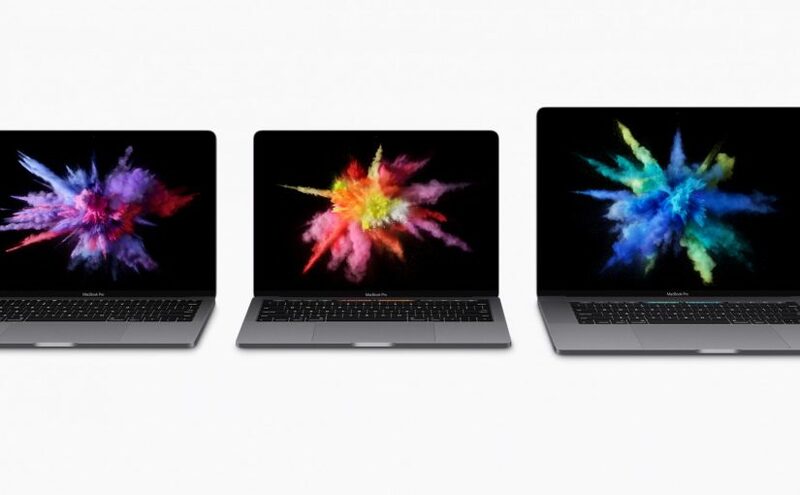 The refurbished 2016 models are a better deal considering their newer specs and better pricing than the aforementioned 15-inch MacBook Pro with a 4th-gen processor. $1,500 – $1,700: The value sweet spot for busy users with lots of open web browser tabs and/or multiple basic apps running at the same time. 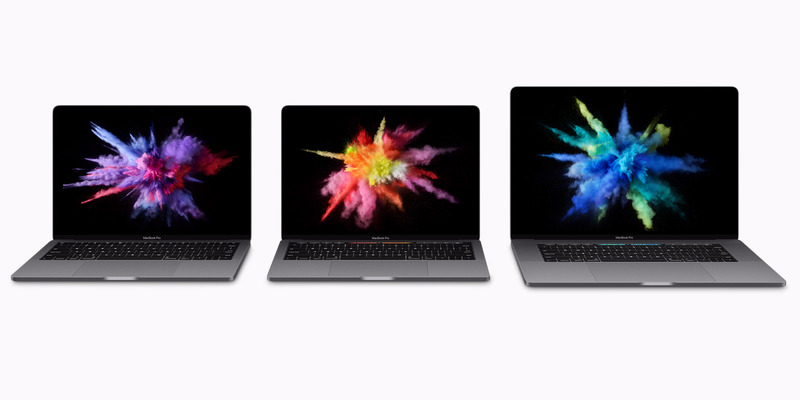 The base 13-inch MacBook Pro without a Touch Bar comes standard with 8GB of RAM, but you can give it a meaningful performance boost by opting for the 16GB RAM option. You can pick that option on the product pages for 128GB and 256GB storage models. It’ll cost you an extra $200 on top of the laptop’s $1,300 – $1,500 price tag, but it will make a huge difference. The processor that comes standard with the laptop will handle basic apps just fine, and will even do you proud for lightweight photo editing. $1,500: For the lightweight user who wants a premium design and the ultimate in portability with little concern about budgeting. The $1,500 MacBook with a 7th-gen Core i5 comes with more storage as standard than the aforementioned MacBook Air and MacBook Pro. With that said, it offers comparable performance to the MacBook Air for $600 more, at least according to benchmark tests. What you’re paying for here is the MacBook’s extreme portability. You can find a refurbished model from Apple’s Refurbished Mac Store for a small discount at $1,360. $1,300 – $1,500: For the lightweight user who wants something more premium. The base 13-inch MacBook Pro with 128GB of storage ($1,300) or 256GB of storage ($1,500) is for the same kind of person who would buy the MacBook Air but wants a premium design, better features, and more “comfortable” performance for basic and advanced apps. Spending an extra $300 over the base MacBook Air model will get you a significantly better screen and speakers, as well as better overall performance with the 13-inch MacBook Pro’s 7th-gen 2.3GHz Core i5. You’ll also get a giant trackpad, which makes navigating around macOS and apps easier. It’s also not that much bigger or heavier than the MacBook Air. It also has better future-proofing potential – where it could last longer before you need to upgrade – than the MacBook Air. Be aware that the MacBook Pros only come with USB-C ports. That means you’ll need to buy adapters, docks, or docking stations to plug in any legacy peripherals, like standard USB mice and keyboards, or non-USB-C monitors that use HDMI or DVI. As with the MacBook Air, you can get the 13-inch MacBook Pro for less on Apple’s Refurbished Mac Store. $1,000: The cheapest option for the lightweight user on a budget. If you must have an Apple laptop but you don’t need much power and you don’t care so much about fancy displays and features like Apple’s Touch Bar, the base $1,000 13-inch 128GB MacBook Air with a 5th-gen 1.8Ghz Core i5 processor is your best bet – and the cheapest Apple laptop you can buy. You can also get the model with 256GB of storage for an extra $200. It’s a remarkably portable laptop that can fit anywhere, whether it be the kitchen counter, your lap on the couch, the home office, or while traveling. It’ll service basic apps and tasks – think lightweight apps like web browsers, note apps, tax apps, messaging apps – admirably. It’ll also run more advanced apps for things like photo editing, but don’t expect lightning quick performance. Something to note: Apple’s MacBook Airs don’t come with USB-C. Instead, they come with a range of standard ports, including two USB ports, a Thunderbolt 2 port (for hooking up a monitor), and an SD card port (to transfer photos from a camera). There’s no need for adapters here. Those who need a simple, capable laptop for basic tasks aren’t necessarily chasing the latest and greatest technology and standards, like USB-C, and these standard ports are compatible with the majority of accessories, which is a good thing. You can get this laptop for less if you buy refurbished models from Apple’s Refurbished Mac Store. At the time of writing, there’s a listing for a refurbished 1.8Ghz MacBook Air for $850 – $50 cheaper than brand-new. And if you need more than the included 128GB of storage in the base model, you can get a refurbished model with 256GB for $1,020 – just $20 more than the price of a brand-new base model. The replacement of its I/O ports with USB Type-C with Thunderbolt 3 support is not going well at all with new MacBook Pro owners. 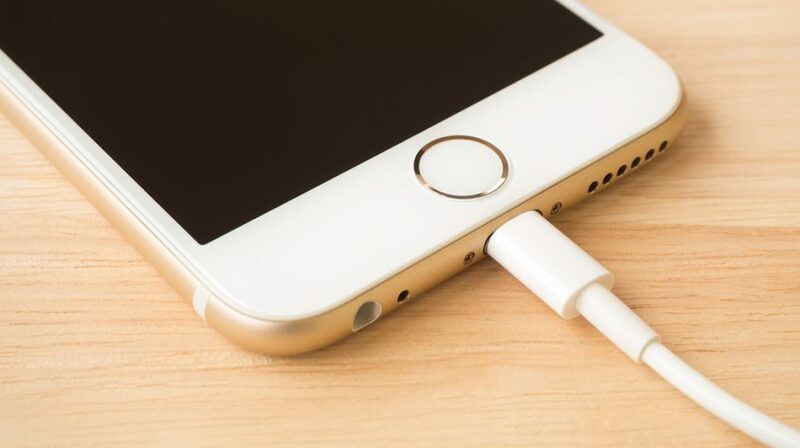 This has led Apple (NASDAQ:AAPL) to cut the price of the USB-C adapters that will be necessary to connect their peripherals to the new laptops. The Thunderbolt 3/USB-C ports have a different connector than that of USB-A devices and cables, which includes the iPhone sync cable. So if you don’t have an adapter, you won’t be able to connect your iPhone or many of the other peripherals MacBook Pro users rely on. For some users, it will mean buying multiple adapters. Small business users looking for budget smartphones have more to pick from everyday it seems. 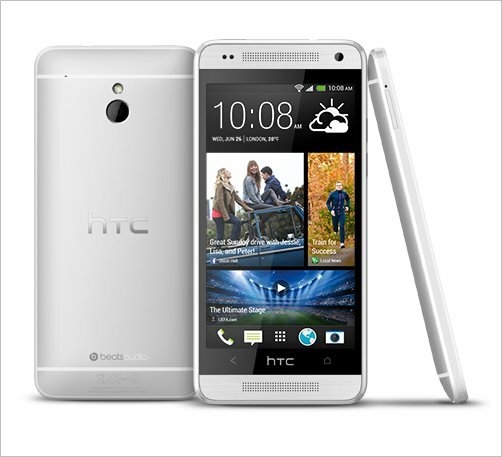 The HTC One Mini, little brother of the HTC One, was unveiled by the company last month. The device will be available in select markets sometime this month with a global availability in September. What’s more, CNET speculated the device would likely be priced in the $89 to $129 range with contract. That would seem to make sense given the pricing of the HTC One listed at $199 with some mobile service providers and $599 full price without a plan at Google Play. The HTC Mini is in many ways just a smaller version of HTC’s flagship phone. It retains what TheVerge.com describes as the best qualities of the original, a “superb” display quality and unibody aluminum shell. A smaller screen-size, 4.3 inches instead of 4.7. A 720 pixel resolution versus the larger phone’s 1080p (though reviewers say this is not much of a downgrade on a screen this small). An equivalent Super LCD screen to the larger model. About half the memory (1 GB) and half the storage (16GB). A considerably shorter battery life (one of the big drawbacks of the new phone). And if smaller isn’t your thing, there may be a super sized version of the HTC One coming. The company recently dropped a hint with a tweet and Vine clip of a larger phone (some are calling it the HTC One Max) potentially coming soon. Here’s a hands on review of the HTC One Mini from Android Central.